This card deck is quite simply the most detailed, lush and beautiful set of cards ever produced on the subject of the chemical elements. 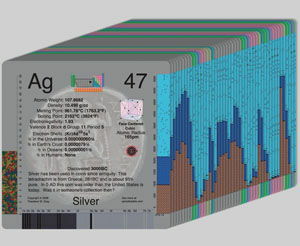 It includes a full 118 large, five inch (12.7cm) square cards, one for each and every element in the periodic table. Unique graphical representations of the melting point, boiling point, density, and electron configuration allow you to create plots of these for properties for all the elements simply by sliding the deck to one side or another, as shown here. For example, you can easily find the element with the highest density, or the lowest boiling point, by sliding the deck left or right. 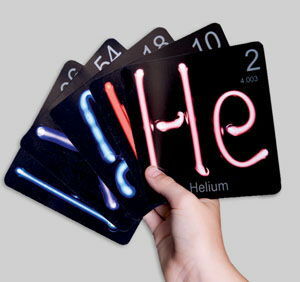 These cards are perfect for classroom use. Each student can be given a card or group of cards to learn about, or notions of chemical affinity can be explored by trying out different arrangements of the periodic table. If you want to see just how far this can be taken, just look at Mr. Rountree's Classroom. 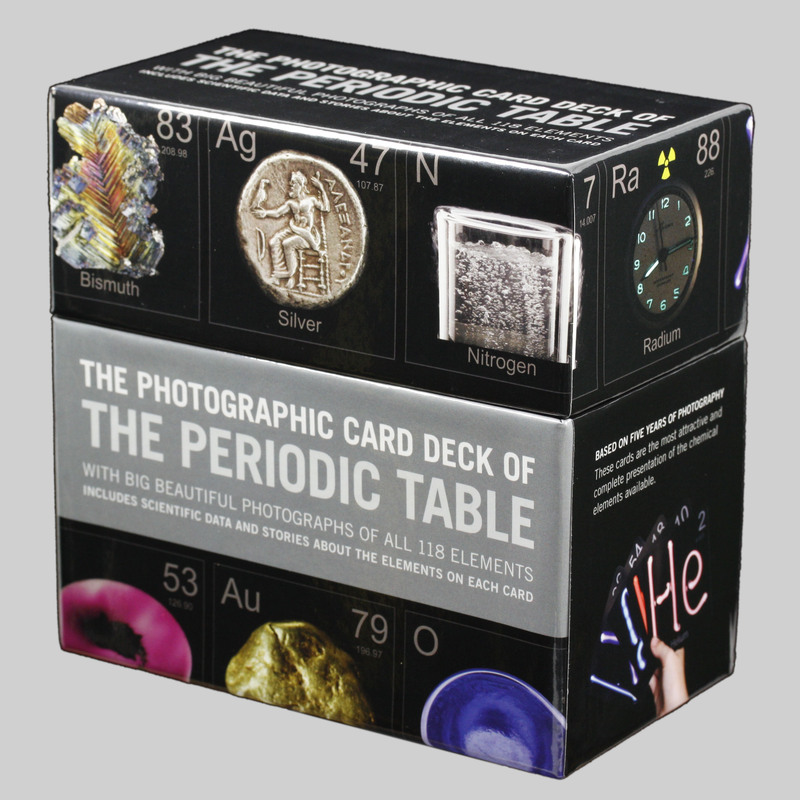 The deck is also a perfect gift for any scientist, student, or anyone who enjoys the beauty and diversity of nature. Considered simply as a work of art the deck is a thing of beauty in its own right.